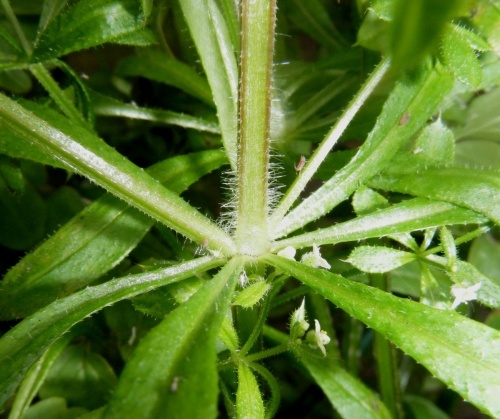 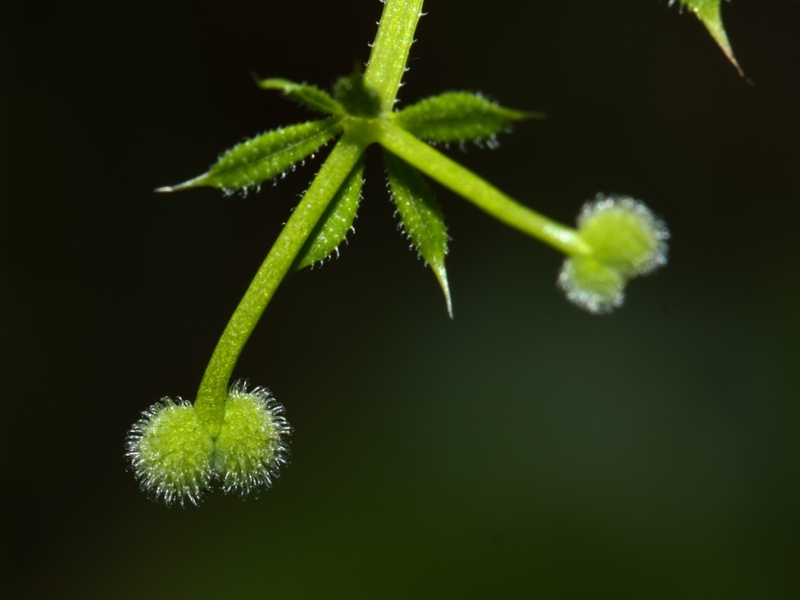 Medium to tall, brittle, scrambling, bristly plant with 4-square stems that have hook like, bristly hairs and are hairy at the nodes. 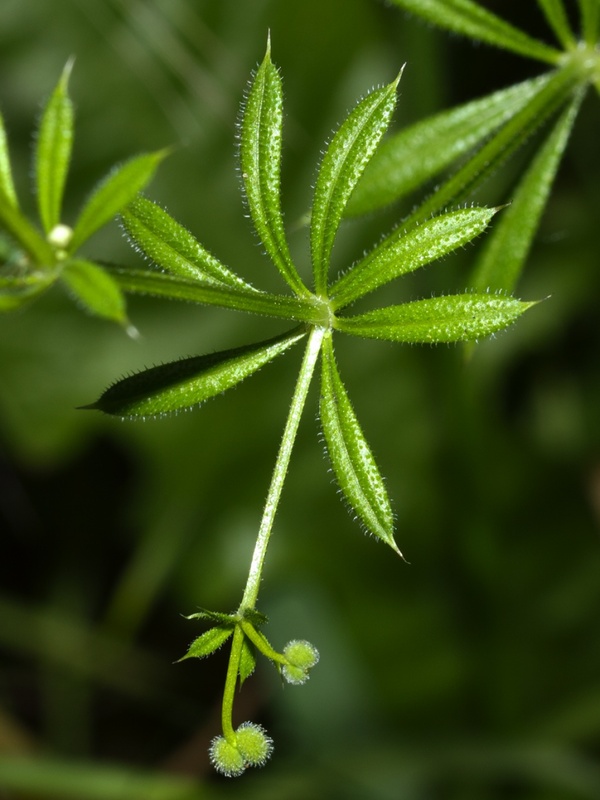 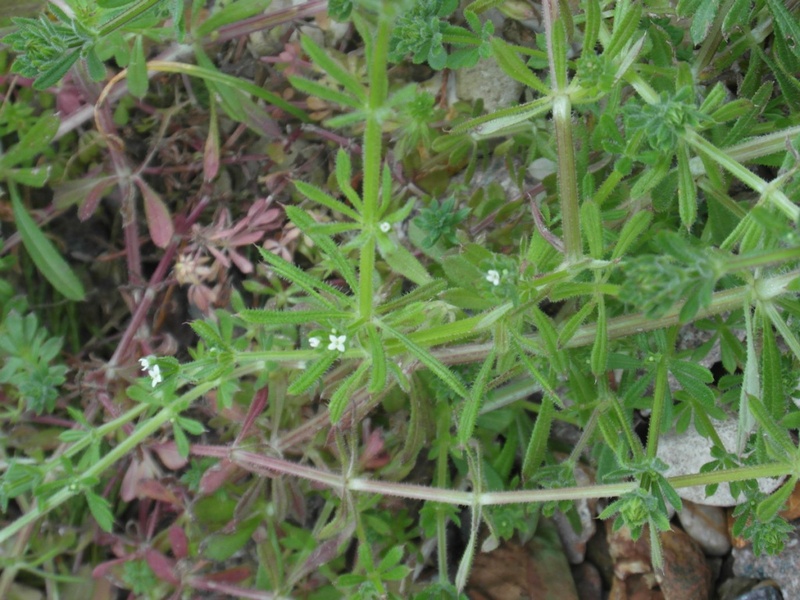 Leaves in whorls of 6 to 9, narrowly elliptical, broadest above the middle, pointed and with bristly margins. 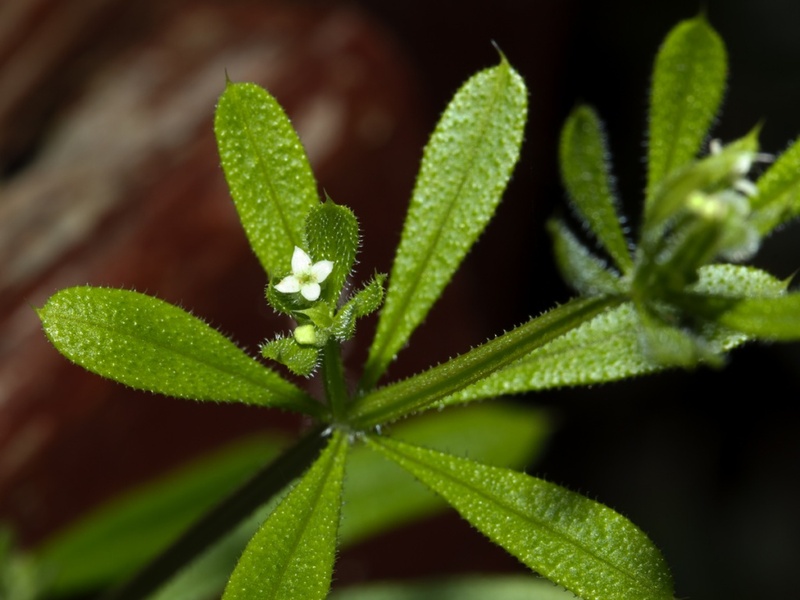 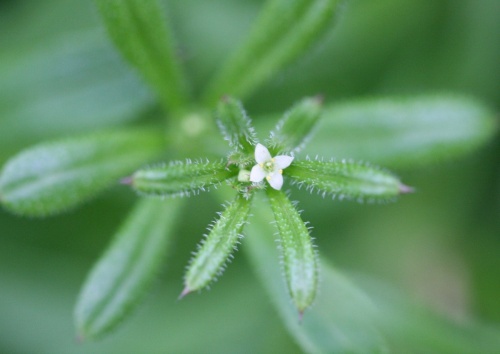 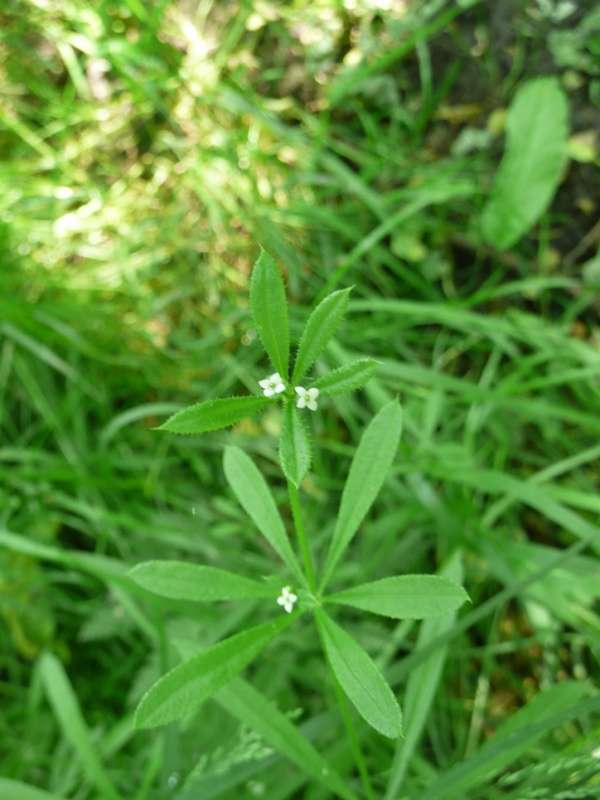 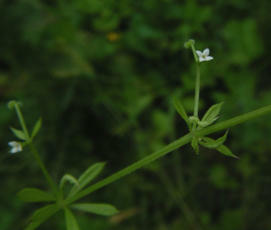 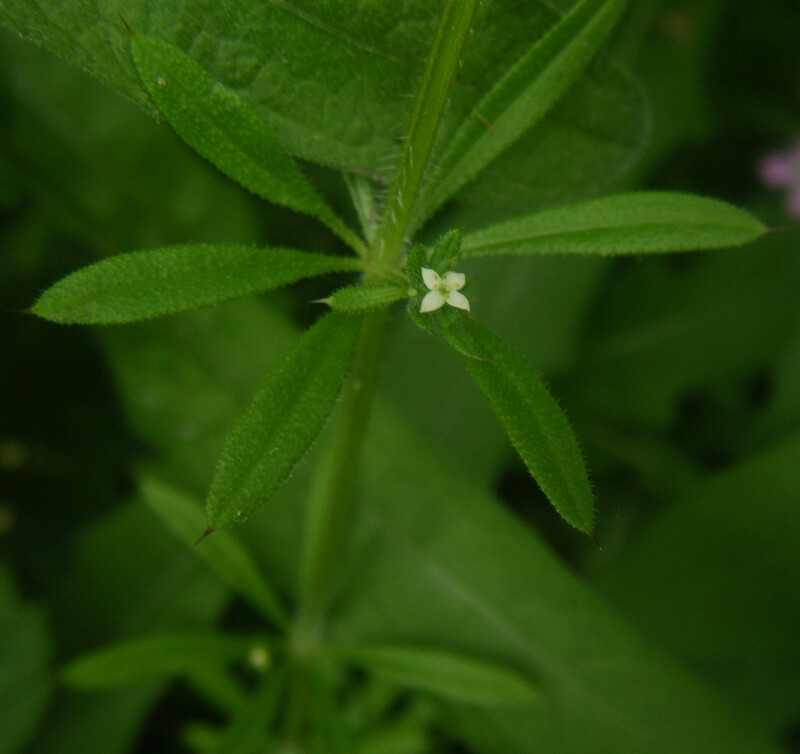 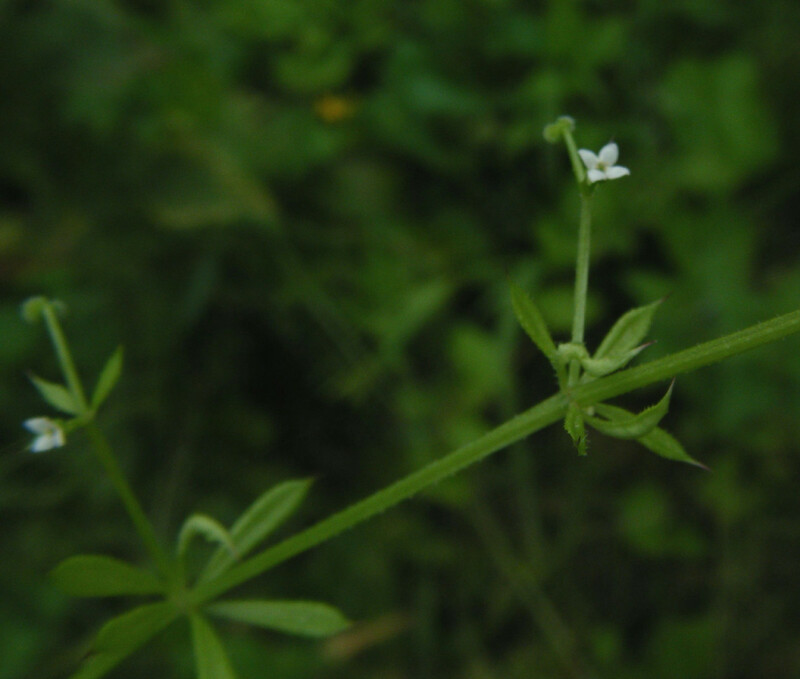 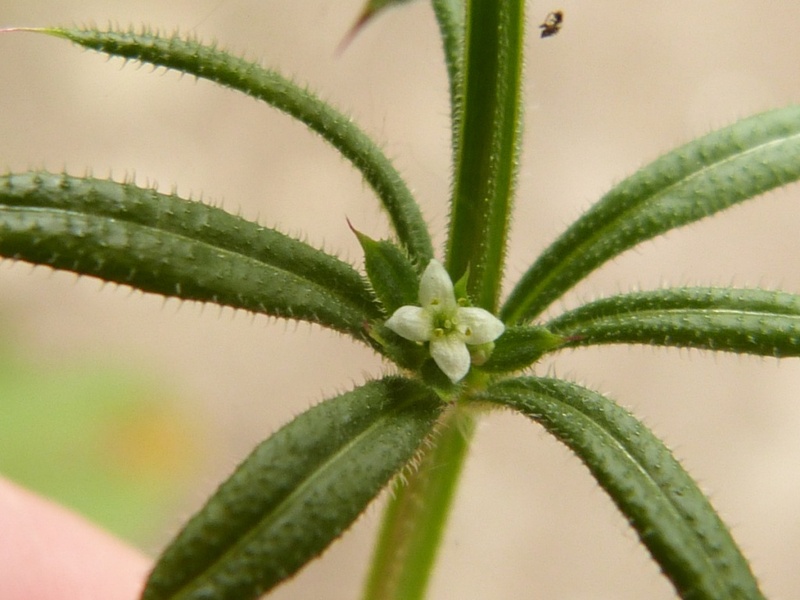 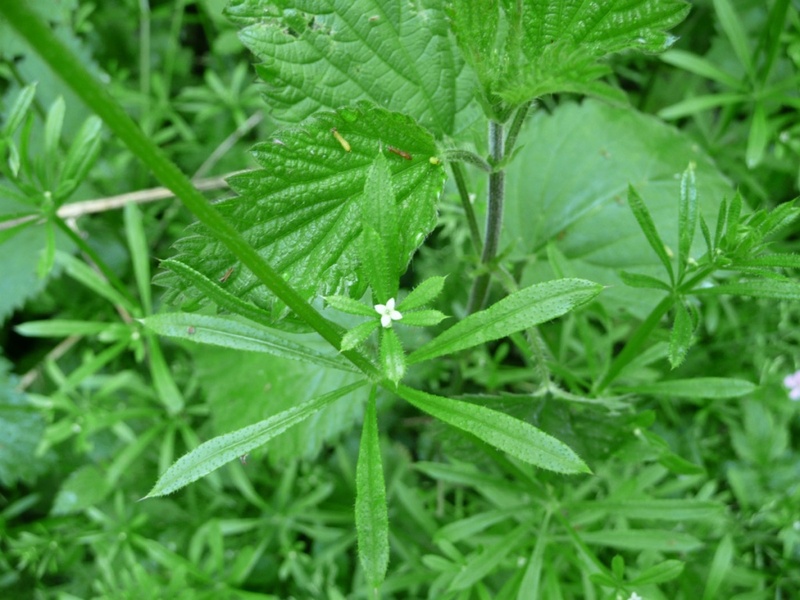 Flowers white or greenish, 1.5 to 1.7 mm, stalked, at the base of the upper leaves.